Dimensions: 8 ft. 6 in. x 6 ft. 9 in. 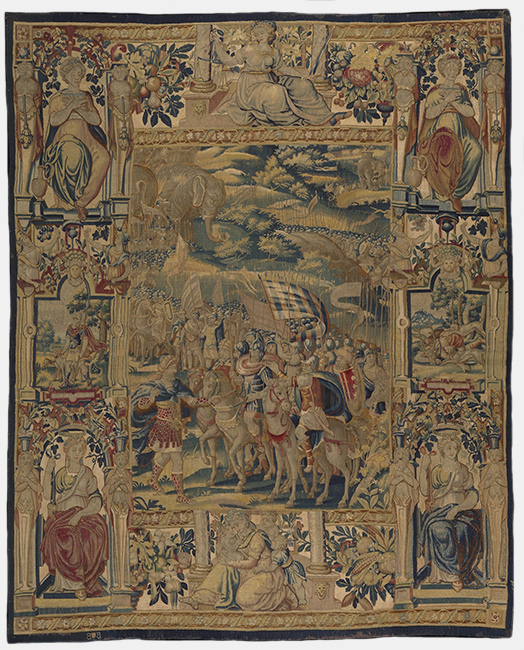 The Carthaginian hero Hannibal, who valiantly fought against the Romans during the Punic Wars strides in front of his massive army and mounted cavalry at the center of this intricate tapestry. The enormity of his battalion is depicted by the pattern of repetitive rows of helmets and spears leading all the way to the elephants in the background. 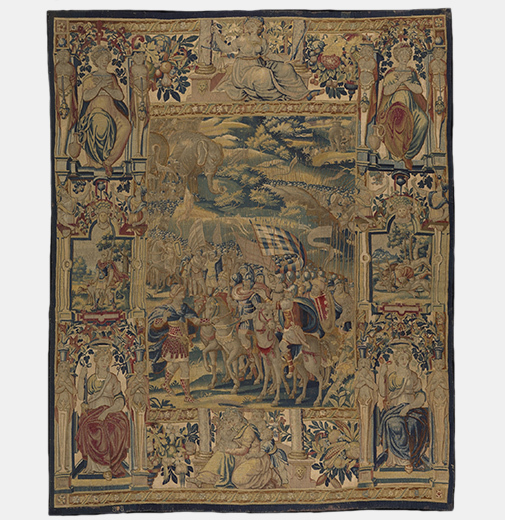 The entire scene is framed by an elaborate four-sided border depicting architectural elements and allegorical figures.